CONVRG is a B2B omni-channel automated voice and messaging platform for enterprise brands that want to reach their consumer on voice assistants and messaging apps, using the same brand voice they have invested so heavily in. Unlike other chatbot platforms, our proprietary technology uses machine learning to adopt the language of the brand, creating conversational experiences that are purposeful. Convrg powers conversational experiences for brands and retailers such as Estee Lauder Companies, Aveda, Sephora, Proactiv, Shopify and the GRAMMYs. 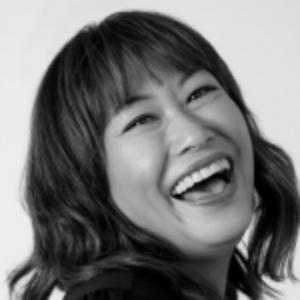 Audrey Wu is Co-Founder and CEO of CONVRG, a voice and messaging platform for customers such as Estee Lauder Companies, EJ Gallo Wines, Sephora, the GRAMMYS, Proactiv and Aveda. She began her conversational AI journey in 2015 at Imperson, a Disney/Techstars company. Audrey has been named one of the top 25 chatbot influencers in the world. In addition, she has spoken at SXSW, Mobile World Congress, ShopTalk, Social Media Week and various technology innovation events. She is also a regular contributor to AdWeek. Prior to moving into the tech world, Audrey was an Investment Banker focused on Media and Entertainment M&A at Cowen & Co and Deloitte Corporate Finance in NYC. I’m the CoFounder and CEO of Convrg, an AI voice and messaging platform powering experiences for brands such as Estee Lauder Companies and the GRAMMYs. I was lucky to be in the right place at the right time and fell into conversational AI, starting with chatbots in 2015 to now where we build world class voice experiences. I’m a walking wiki on all things chatbots and voice assistants and most recently spoke about the topic at SXSW and Mobile World Congress. I also write for Adweek. I was at a real turning point of my career. I had several offers on the table but I took the one that scared me the most – Conversational AI. Best decision ever. Chatbots and voice assistants are a very nascent industry which means there is no “traditional” background. One of my co-founders comes from a beauty, creative and editorial background while the other has an MBA and is a master coder. I came from a digital marketing via investment banking background. Bootstrapping my company Convrg, getting funding and becoming cash positive all within 2 years. To be a great human being and CEO. I have a least one WTF moment in a day. Whatever happens, just roll with it. There is a solution to everything. I was born and raised in LA, lived in NYC for several years and still commute frequently so I get the best of both worlds! I currently live in Los Feliz and I love it because it still feels creative, eclectic and non-corporate here and I draw my energy from my surroundings. I work in tech which is a very “bro” culture, so it’s so nice to be far away from Silicon Beach. When I’m in New York I stay in Alphabet City. There are few neighborhoods that still authentically feel NYC – this is one of them. Again I draw energy from the creative mix and eclectic people that live in the neighborhood. 6:00 AM – Sleeping. I am not a morning person. I’m usually up around 8. 10:00 AM – On a daily call with my team. 12:00 PM – Favorite Lunch spot/meal? I am most likely walking my dogs during lunch. 7:00 PM – Having a glass of wine and catching with my husband on the day. 11:00 PM – Lights out with the pups! Sadly, it’s the Delta App. In bookshops. I still very much enjoy the physical and tactile act of reading a book.